Bees of all kinds have a place and a purpose. 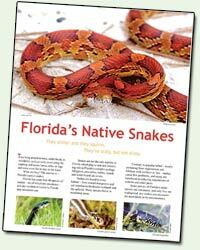 When they become a nuisance it is in our best interest to safely relocate or remove them from our environment. Nuisance Wildlife Trapper does so in a completely humane way. I went out a couple days ago to clean out the bee hive from the previous post Swarm of Angry Bees in Orlando. It’s always important to remove a bee hive and spray the area down after the bee extermination is done. Leaving the hive will result in the honey beginning to pour downward, out of the hive as the bees are no longer taking care of it. The honey will start to smell very bad and attract other pests like ants. It also may attract other bees that will start another hive. This particular bee hive was underneath a work trailer in Orlando. Unlike a lot of bee hive removals I run into in Orlando, no walls, masonry, fascia or other major obstruction needed to be cut through to get to it. A little bit of insulation and the vapor barrier was all that needed removed. As can be seen in the pictures this was a decent size hive but certainly not huge. It was probably about two and a half feet long by sixteen inches, enough that it would have created quite the mess. Occasionally, people ask how we can do what we do without being worried about getting bit, scratched, stung, infected, or some other worry. Well, like any other hazardous job, we are educated and prepared in order to prevent such things. A construction site in Orlando provided an opportunity to show a small part of this training. A work trailer had a large hive of bees living underneath it and we were called to deal with it. I put my bee suit on, carefully checking for any holes around the zipper connections and overlapping areas, such as where the gloves pull over the long sleeves or the leg pants slide over the boots. Knowing my bee keeper suit is completely sealed I don’t have to worry about bee stings, except the occasional bee that just won’t quit and actually penetrates through the fabric, which does happen. While not an Africanized bee hive, this colony of bees was pretty aggressive after I started fogging them. Ten minutes earlier I was squatting directly underneath the hive, unprotected, with no bees trying to sting me. As the video below shows, they weren’t so happy once I disturbed them. I will be back in a couple days to clean this hive out and take some pictures. 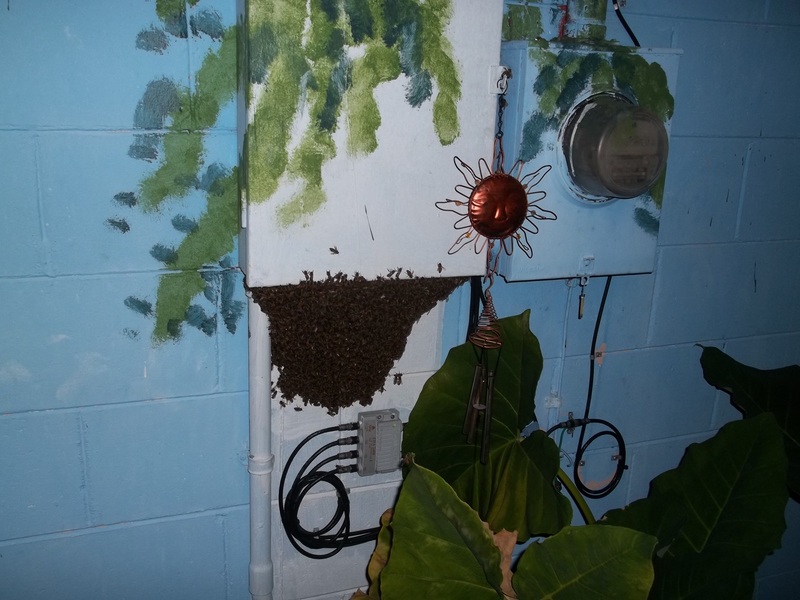 Nuisance Wildlife Removal received a call from a home owner in south Sarasota that was very concerned about a huge hive of bees that showed up outside, under her window. She was not even aware that she had a problem. 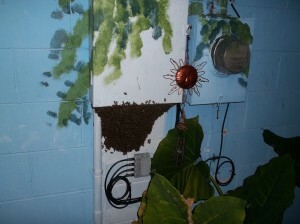 Her neighbor next door noticed the swarm and notified her. Both the neighbor and the homeowner were extremely concerned because the neighbor has a four year old little boy and the homeowner is highly allergic to bees. We responded and took care of the hive. It had just begun to build and the bees had found a small crack just under the window. We returned 72 hours later to see if clean-up of any hive / honey were necessary. Neither was present so we then sealed off the crack to prevent future entry from pests. A swarm of bees near the entrance to a home is annoying at a minimum and in certain cases, as it was today, dangerous. 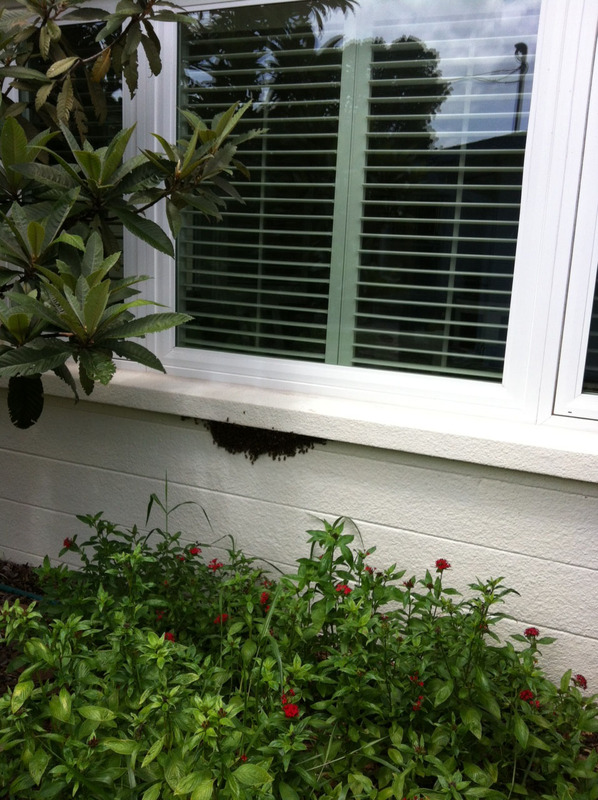 A home owner in Orlando called us out to exterminate a volleyball size swarm of bees this morning just under the edge of the mobile home. No big deal normally. I go in with my beekeeper suit, spray the bees and surrounding area, and come back the next day to make sure there are no bees left. This time, the owner happened to be highly allergic to bee stings and the bees were only about eight feet from the entrance to the home. Once the bees are sprayed they become highly agitated, swarming around stinging at everything in the immediate area. Not a good thing for someone allergic to bees. The homeowner decided to stay with family until the next day to avoid being locked up in his house all day. The next issue that needed to be dealt with was cleaning out the hive after all the bees are dead to prevent another swarm of bees from recolonizing the hive. 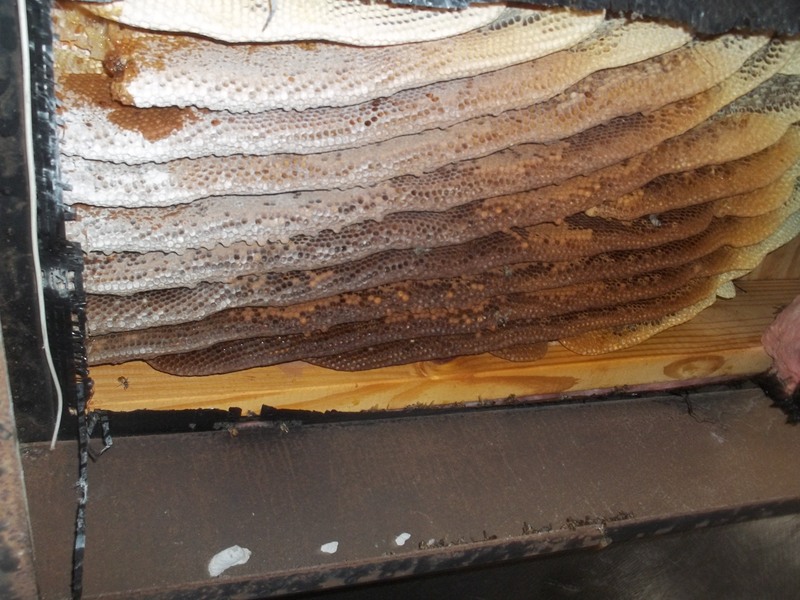 A lot of times an explanation and a couple of suggestions is enough for the owner to be able to clean out the hive themselves and save a little bit of money. However, if you’re allergic to bees, a dead bee is still a possible danger as the stinger is still intact and the muscles that deliver the venom are still functional for a short period of time postmortem. Also, any pressure on the bee or stinger from something like a hand brushing it away could potentially cause the venom to be injected. So, I’ll be back tomorrow to clean out the hive if there is no more activity.